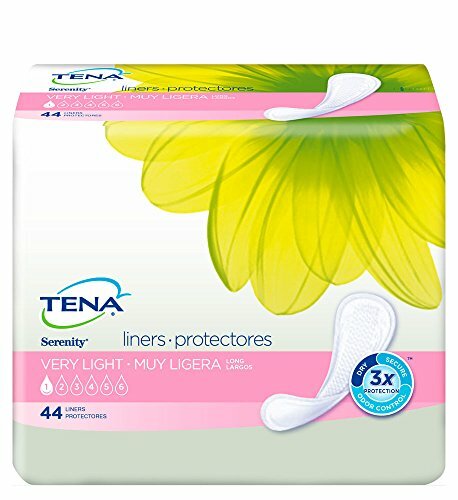 Tena Serenity Moderate Regular Pads protect against light to moderate bladder leaks and allow you to remain protected throughout the day, so you can get back to being you. These pads are individually wrapped so you can slip them into your purse and take them anywhere. A soft topsheet and super-absorbent Dry-Fast Core quickly absorb and lock in urine to keep you dry and comfortable. Additionally, they are pH balanced to neutralize odor, not mask it. Tena Serenity Moderate Regular Pads are designed with the shape of the female body in mind for a secure and comfortable fit. If you have any questions about this product by TENA, contact us by completing and submitting the form below. If you are looking for a specif part number, please include it with your message.